Offering high-quality new and refurbished ultrasound equipment from leading manufacturers, with dedicated service and support. 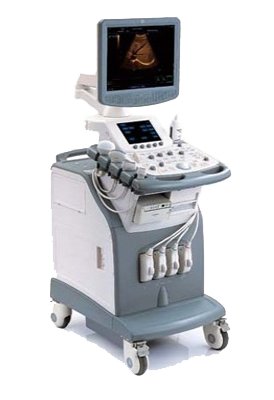 For any new or used ultrasound machines, choose Redstone Healthcare. Our extensive stock includes portable ultrasound machines, refurbished ultrasound machines, and used ultrasound transducers from various manufacturers. Our thorough experience in the industry means that when you shop with us, you will always receive excellent equipment that will serve your practice well. Our products are ready for immediate purchase and can arrive at your location quickly and securely. Call us at 1.844.2.REDSTONE or email us to discuss the new or used ultrasound machines we offer and how Redstone Healthcare can best help you. As an FDA-registered company, Redstone Healthcare maintains the highest standards of customer satisfaction. All of our devices, whether you need a refurbished ultrasound machine or used ultrasound transducer, are thoroughly tested to ensure their complete functionality and effectiveness. 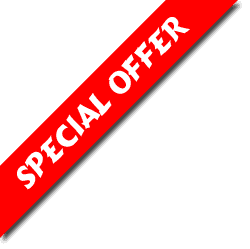 Plus, we provide total before- and after-purchase training and services for every ultrasound machine we sell. Our thorough expertise ensures your practice is in safe hands when you work with us. Thanks to solid relationships forged with manufacturers like GE Healthcare, Philips, Mindray, Sonosite, and Zonare, we can offer customized and specific solutions to whatever your practice’s needs may be. We can even get you products that are more difficult to find if necessary. We are dedicated to helping our customers as fully as possible, and our client testimonials prove it. Browse through our product listings and then contact us to place your order. We also offer over 20 years of experienced ultrasound knowledge if you have any questions or concerns about our new or used ultrasound machines. Decades of experience in ultrasound allows us to give you the right equipment, on time and on budget. Redstone Healthcare is based on a unique level of service, and our satisfied customers are the result. Take American Correctional Solutions for example. They needed a quick turnaround time within a secure environment that required a hands-on approach – and we delivered. Every customer is unique. At Redstone Healthcare we have the experience and expertise to source the best possible equipment, and we work closely with each customer to ensure they are provided with the perfect match to fit their specific needs. The members of our team have a wealth of experience, including national awards and accolades for their work in the industry. We have built strong relationships and contacts that provide Redstone Healthcare with an inside track in the industry. Our nationwide network of clinical sonographers is available to train and educate clinicians. Whether teaching the fundamentals of MSK ultrasound, or any other application, we provide the best ultrasound training available. From installation and applications to upgrades and additional transducers, our training teams are ready to assist. At Redstone Healthcare, the commitment to our customers doesn’t end with the final sale. For more information on the ultrasound training we offer, call 1.844.2.REDSTONE or Email us and a member of our team will respond promptly. Looking for new, used, or refurbished Ultrasound equipment? “We recently purchased an H-P S3 adult echo probe from Redstone Healthcare. It arrived the next day in pristine condition and is the perfect solution for our scanning requirements. We looked at many other vendors and found Redstone’s offering to be most attractive in terms of cost savings and responsiveness. Redstone’s sales team is a very personable and knowledgeable and provide excellent advice in a pressure-free environment. I cannot recommend Redstone highly enough.